Try changing your VPN protocol. VPN protocols are the methods by which your device connects to a VPN server. 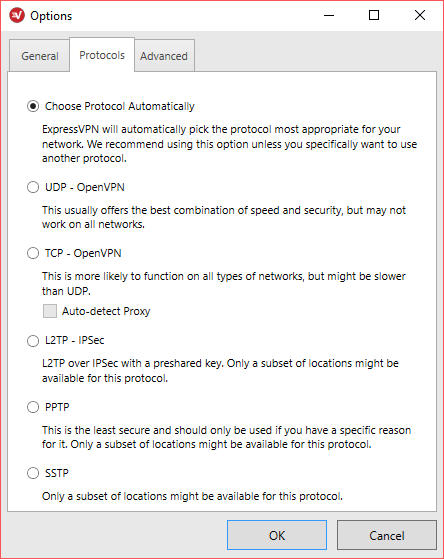 By default, ExpressVPN uses the UDP protocol, which may be blocked in some countries. To switch to a different protocol, click on the ellipsis (…), then click Options. In the Protocols tab, select the protocol you want to use, then click OK. 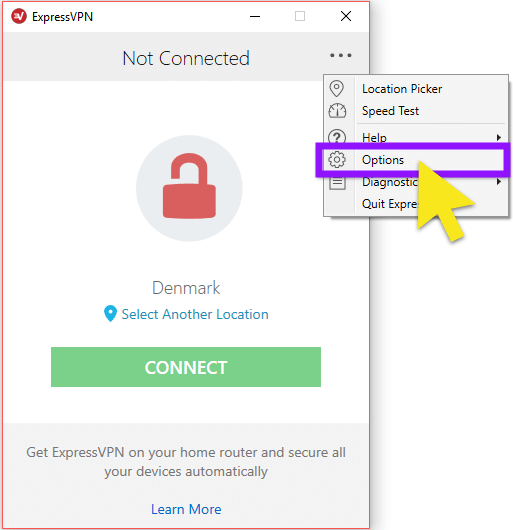 Note: ExpressVPN does not recommend using PPTP unless absolutely necessary. PPTP offers only minimal security.